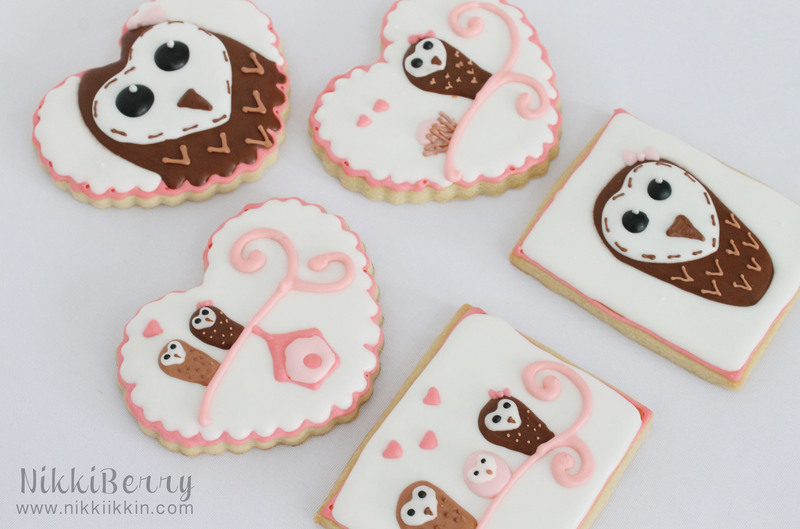 Just in time for Valentines Day I have cute little cookies to share that are all about LOVE! A dear friend asked me for cookies for her brother and sister-in-law’s baby shower. She gave me a few inspiration ideas and an image of a stuffed owl they were using as decoration at the party. 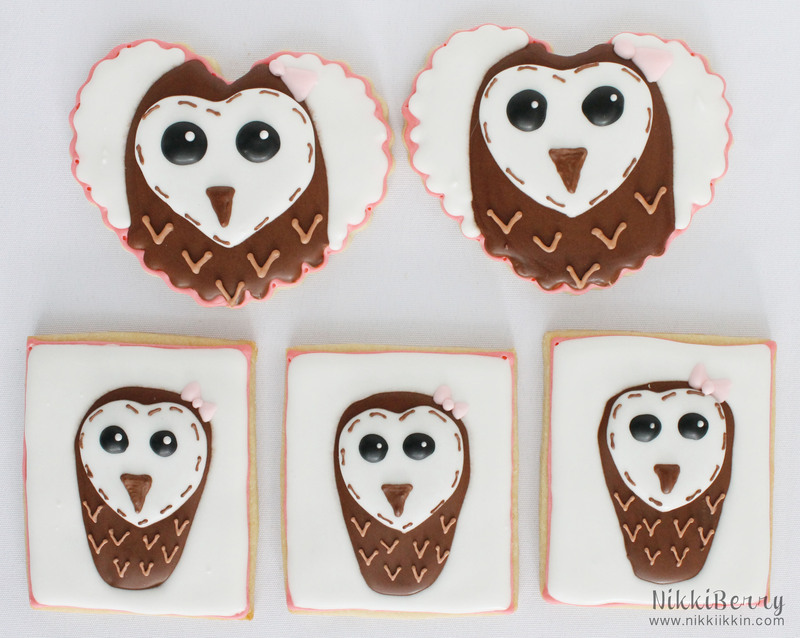 The little handmade brown owl was a perfect inspiration for a cookie, but I wanted to do more than just an owl on a cookie. 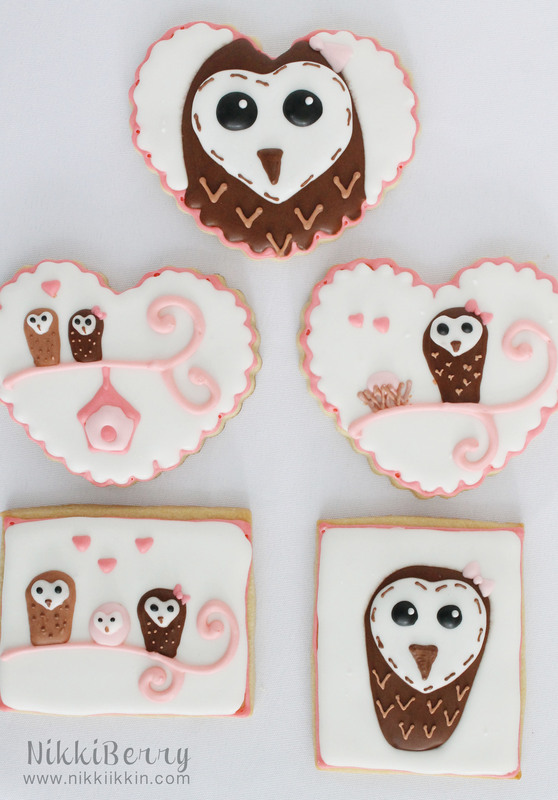 I decided to tell a little owl love story with my cookie set. My cookies started with boy meets girl and little mother and her egg to the happy family of three. 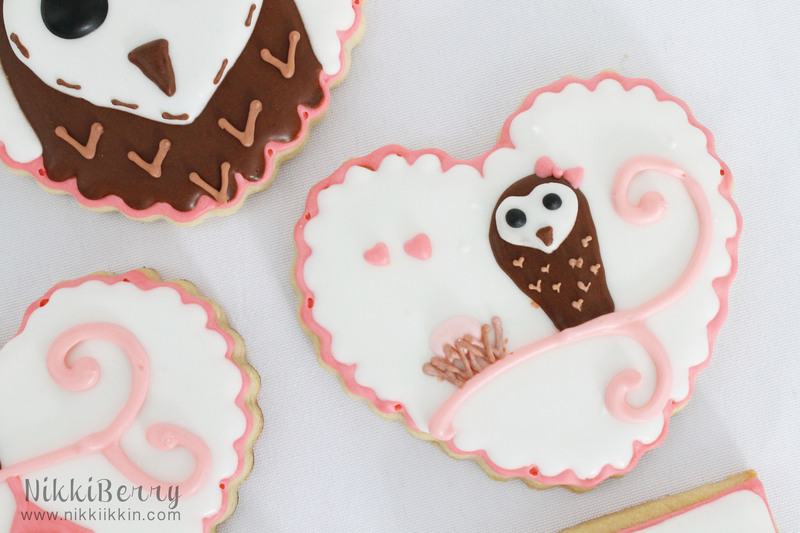 Along with a few portraits of the stuffed owl, adding a pink bow for cuteness. 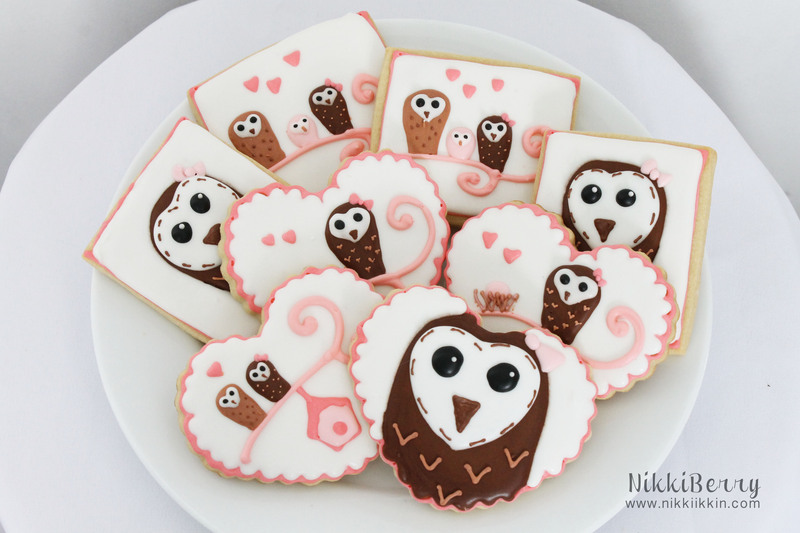 I have never made a set of cookies like this before, I typically stick to one or two designs in each set. But since the color pallet didnt change for each design I didnt find it hard to create 5 different ones. (soon I will show my MLP cookie set that was a challenge to change up in colors and designs) It’s certainly a design idea that I could do for any bird theme so I will be adding these cookies to my etsy shop! The etsy seller for the little stuffed owl, Green Owl Curiosities, can me found HERE.